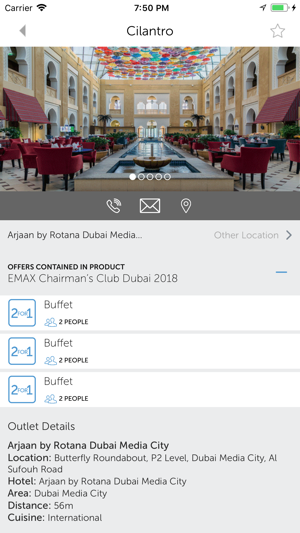 The ENTERTAINER Emax App brings you unbeatable value with hundreds of Buy 1 Get 1 Free dining, leisure, entertainment and hotel accommodation offers across Dubai and Abu Dhabi. Discover new restaurants, treat the kids to a fun activity or attraction, and holiday more often for less – all with the ENTERTAINER Emax App. All of our offers are valid all year round, 7 days a week, with virtually no restrictions as to how and when you use them*. Browse ENTERTAINER Emax App Buy 1 Get 1 Free offers from our available destinations. 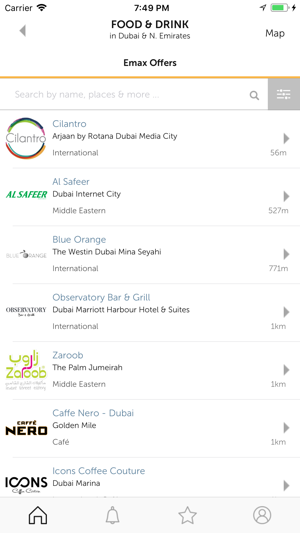 Simply find offers and merchants by location and category. 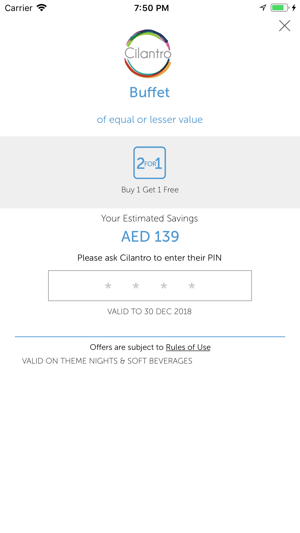 Redeem all your offers straight from your Smartphone. 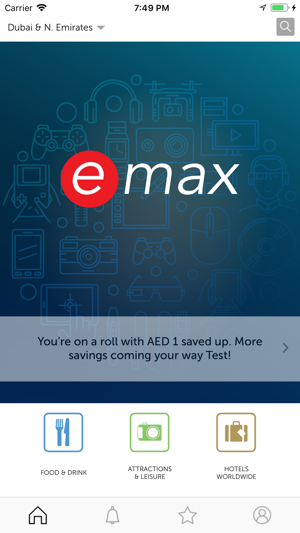 View how much you’ve saved with the ENTERTAINER Emax App. Share your savings with family and friends via social media. Best of all, the ENTERTAINER Emax App comes pre-loaded with free bonus offers that you can start using right away. • … plus the best hotels across Dubai and Abu Dhabi.